The Internet’s long communal nightmare may finally be ending. We now have hard data that proves rage comics are plummeting in popularity. If you’ve never heard of rage comics, be thankful. The cartoons bubbled up out of imageboard 4chan in 2008 before spreading like a crudely drawn cancer to Reddit and humor sites 9GAG and FunnyJunk, then popular culture at large. 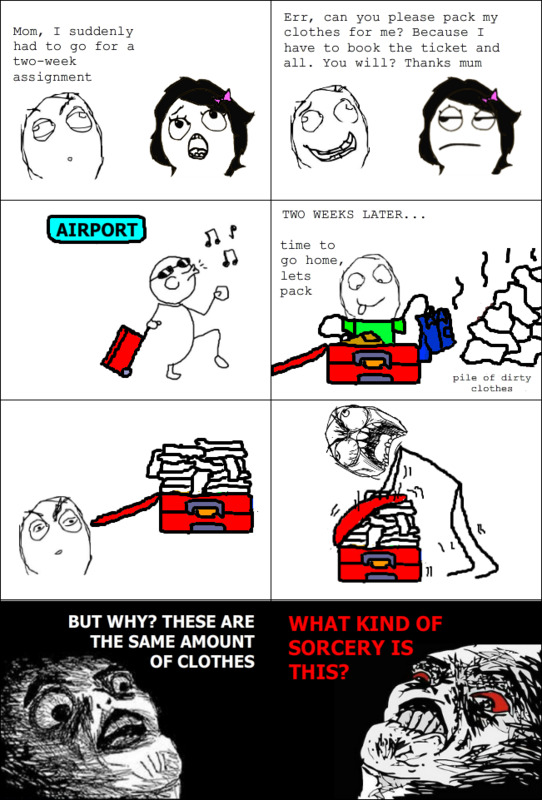 If you ever heard some use “le” or “derp” or “herp” or (shudder) “sexytime” in daily life, you can thank rage comics. There are rage comic T-shirts. Teachers use them as instructional tools. You could even insert the images in Facebook chat. The comics are essentially emoticons—a set of faces that represent common emotions and reactions—that users cobble together into stories using free “rage making” tools available online. That’s not necessarily a recipe for intractable cultural sludge. In fact, there’s something undeniably appealing about the creative democratization that rage comics represent, and there were some pretty funny examples of the form in its heyday. The problem? Since 2009, rage comics have had their very own home (r/fffffffuuuuuuuuuuuu) on Reddit, a site with the most ravenous hunger for new content on the planet. For three years Reddit’s army of a half-million amateur cartoonists has worked nonstop, 24 hours a day, creating new comics at a breakneck speed. Necessarily, what quality there was has plummeted over that time. If The Simpsons should have ended after, say, the 12th season, rage comics should have died out after their 12th week. Instead, they reproduced with the speed and ferocity of a bacterial colony. But new data released by an r/fffffffuuuuuuuuuuuu moderator show the subreddit is in the midst of a long decline. From February to December of last year, visits to the subreddit dropped by more than half, from 2.2 million to 1 million. Pageviews have plummeted even more, from an astonishing 37 million in February to a relatively measly 8 million in December. We aren’t entirely sure why. It could be that a million people over the course of the last year just suddenly realized how awful rage comics had become. Or maybe, and more ominously, former rage comic aficionados have simply migrated elsewhere, to other forms of cheap, easy-to-produce entertainment. Have you heard of animated GIFs, for instance? They’re apparently all the rage nowadays.